It's cool to see the clones making kits. Maybe kits are coming back. But this has nothing different that would even tempt me to try it. Im not seeing much "clone" here. axles and trans look like unique. The frame and shock towers look identical to the SCX10. Some of the other stuff is similar, but, yes, there are some differences as well. I don't know anything about the chassis, but the body is pretty cool and I REALLY dig this paintjob. Poking around their website, it looks like Danny Huynh did the paint. His creativity is always off the charts. Love it. The body looks like a Nukizer done better than both Axial and RC4WD. The grilled is hard plastic as seen in other photos. Does Hobbytech have a distributor in the USA? I've been sending emails back and forth with hobbytech to see if I can get my hands on a clear body. Still haven't gotten a straight answer. They keep trying to push the whole rig on me. I don't want the whole rig. I just want the body. 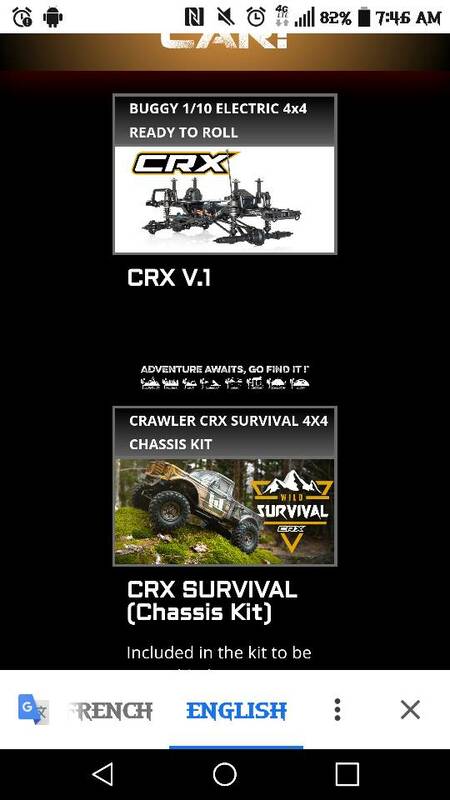 If it comes available I'll probably get it instead of another Nukizer and make a truggy out of it. I'll let you guys know what I find out from then. It's a classic '60s Jeep Gladiator body, whereas the Nukizer is a Jeep Concept-only truck. I'm sure they'll sell tons of the body if they make it available separately. More of us should bug them about it. If they see there's demand for it maybe they'd be more likely to make it available. The tires look like a mix between Hyrax and something else. I wonder how the compound is, and whether it'll do any good. Hyrax + Gmade MT1904 made a baby.... but mama drank during pregnancy.